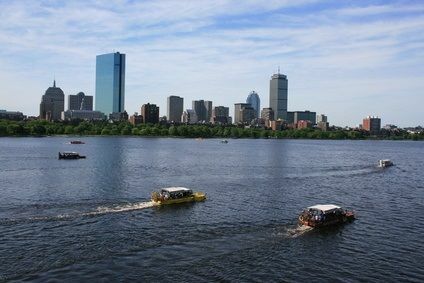 The Boston Duck Tours is one of the most popular of the Boston City Tours. . These Duck Tours consist of a fleet of brightly-colored vintage World War II amphibious vehicles which can travel on land and water. The tours cover many of downtown Boston tourist attractions, including the Prudential Tower and the State House. 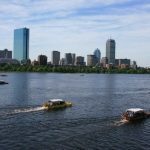 They also provide a fantastic water adventure when you will be leave the land portion of the tour and ride down the Charles River. There are 3 departure points for these tours: the New England Aquarium, the Prudential Centre, and the Museum Of Science. For Boston students at TALK, and for those chocolate-lovers amongst you (and by that we’re guessing ALL TALK Boston students! ), you can experience a whole delicious, divine world of taste with the Boston Chocolate Tours. The Boston Chocolate Tour is a 2.5 hour walking tour where you explore the richness of the South End, Back Bay, and Beacon Hill neighbourhoods. And although you of course see and learn about the architecture and culture of the area, this tour also takes you to all the best places where fine chocolate is produced. You will learn about the history of chocolate, and how the finest chocolate is produced. 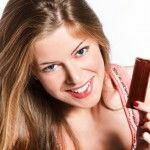 As you go, you will sample the many different types and flavors of chocolate and become quite an expert in how to select and store your fine chocolate. Known as one of America’s most haunted cities, Boston holds over 400 years of history as its population endured wars, hardship, crime and the toils of daily life. 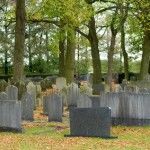 Not for the faint of heart, the Ghost and Gravestone Tour is a great way of learning about the daily lives – and deaths – of Bostonians, and getting a look at the criminal underworld of Boston. 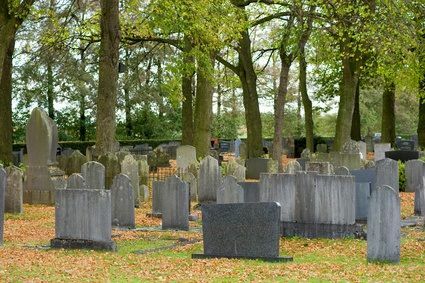 You are taken you on an adventurous journey to chilling haunted places, to sites of famous murders, and even to a chilling night-time session with the dead and departed in two of Boston’s oldest cemeteries. This tour is an experience all on its own that will stick in your memory for a long time to come! 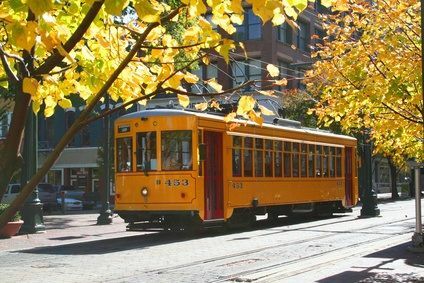 A great day out for any Boston students, the Old Town Trolley Tours are a fun way to show you Boston in a fully-narrated 100-minute tour. On this tour guests will enjoy 19 stops, including the famous Fenway Park. You will also get to disembark for dining, attractions, and shopping throughout the tour. 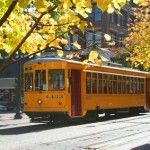 Old Town Trolley Tours is the official tour of the well-known Boston Red Sox, and is really a relaxing way to get your mind off studies and see the city in a fun way.